One night in April 1841, John Tyler rose from bed to find out the President of the United States was dead. 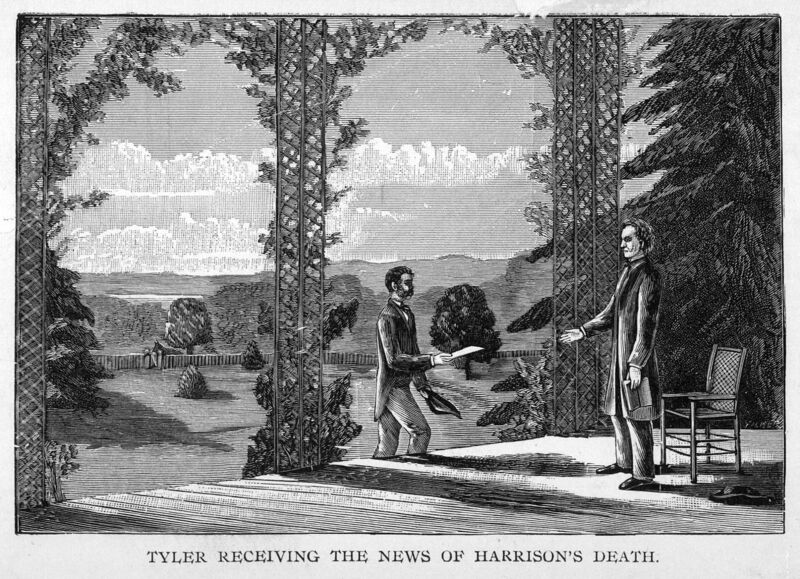 The news was a big deal because Tyler had been sworn in as William Henry Harrison’s Vice President barely a month before. Harrison, who famously gave the longest inauguration speech in U.S. history to prove his stamina, had succumbed to pneumonia in just thirty days. Now, anyone in this position would have been in a rush (just ask Teddy Roosevelt). But Tyler had even more reason to be panicked. No president had ever died in office, meaning no vice president had ever become the president before. The first thing that Tyler did was met with Harrison’s cabinet who were calling him “acting president.” But Tyler had a different idea. He was a lawyer and a political veteran who put forth his own interpretation of the constitution, says Gerhardt. Tyler took an oath office and issued an inauguration speech though he didn’t think it was necessary. However, this didn’t win him any allies in Congress. The opposition party, the Democrats, had hated him ever since he left them back in the days of Andrew Jackson. 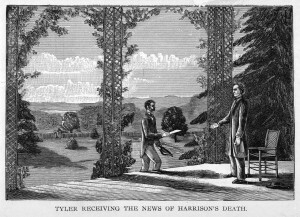 His new party, the Whigs, stood in principle against a strong executive and thought Tyler should carry out Harrison’s intentions. He was suddenly in the position that nearly any action he took was interpreted as executive overreach. Here are the highlights. First, there was the name thing. The House and Senate immediately started pushing through legislation that would officially called Tyler vice president. People called him ‘acting president,’ ‘vice president acting president’ and most stingingly, ‘His Accidency.’ Michael Gerhardt says he gave all of these the silent treatment. Then, there was Henry Clay. He was the powerful speaker of the House, leader of the Whigs, and had run for president himself a few times. He quickly met with Tyler, assuming as ‘acting president’ that Tyler would be a pushover. Not so much, says Gerhardt. “Turns out Clay was dead wrong. Within a very short period of time, actually only a couple meetings, the men were yelling at each other and no longer speaking to each other.” Tyler eventually told Clay, you go to your end of Pennsylvania Avenue, and I’ll stay at my end, and we’ll each do our jobs as we see fit. Gerhardt says it became clear to Clay that Tyler would be his own man, thought he was president, and would act like one. And then there was Capitol Hill. Congressmen were enraged whenever Tyler tried to set his own agenda. Tempers flared each time Tyler vetoed a bill or nominated his own choices for his cabinet — a move that was very necessary, since nearly all of his cabinet resigned over his vetoes. He ended up setting a record for the number of cabinet nominations rejected, and the number of supreme court nominations rejected. For two seats on the Supreme Court, eight out of nine options were sent back to his desk, says Gerhardt. So, let’s recap. Tyler gets kicked out of his party, has nearly his entire cabinet step down, has three different impeachment proceedings started against him, and can barely get a nomination through Congress. He’s called a dictator and a tyrant — all because he dared to call himself president and challenge the whims of Whigs. But despite all this acrimony, Gerhardt says that the power of the presidency was actually strengthened by the standoff on Pennsylvania Avenue. Every time Congress blew up over a veto or Tyler nominating his own men, he took pains to defend his actions. Tyler won in the long run. First, he set the precedent of what happens after a president dies, that the vice president not only assumes the duties of the president, but becomes the president. In the 1950s, it was codified in the 25th amendment that finally specified what happens when the president dies (the vice president becomes president), or is incapacitated (the vice president temporarily assumes his duties). But even more, Tyler’s vision of a president who works with Congress, instead of having his strings pulled by Congress won out. It’s much more of the modern conception of how the presidency should work. 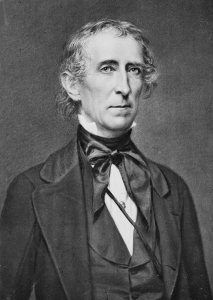 Near the end of his presidency, John Tyler’s wife Julia threw a celebration in the White House. It was packed with both his political supporters and enemies too. Tyler didn’t have the popularity to run again, so he was no longer a threat to Clay. But it was also clear that the president who had lived in political exile by putting his head down and doing his job, at the very least had garnered the respect of his peers. After the party, says Frances Tyler, Julia wrote a letter to her mother. This story appears on our show Tyrannophobia. Check out Michael Gerhardt’s book, The Forgotten Presidents: Their Untold Constitutional Legacy or visit Tyler estate at Sherwood Forrest Plantations to learn more about our 10th president.